Click the blue button to apply now! Working in our stores is more than a job… Connect with great people. People matter – A spirit of family and caring for each other. Around toys, games, calendars, books and many other fun items – It’s like Christmas every day! Get paid for selling and playing with fun stuff! Work with great people that love having fun – We laugh all the time! Great culture that fosters fun and a work/life balance – Hi Ho Hi Ho it’s off to home we go! Opportunities for advancement – Off to the next great adventure! We like to help our communities – We like giving back! Employee longevity- people like to stay working for us – We love it here! Recognized for my contributions – Lots of pats on the back! Energetic, fast-paced environment – No wasting time! At the end of the day you have a sense of accomplishment and satisfaction that you completed your purpose. At Go! We believe our ability to retain our top talent is largely due to our long-term success in combining our culture, company values and work/life balance, especially in our stores. We are proud to have the opportunity to foster careers of so many people. Many of our retail employees accept a job with us and then stay to build a meaningful career – some becoming operators and others coming to work at our HQ in Austin, TX! We are fortunate to have employees who have been with us for over 20 years. This expertise and experience is valuable to us! 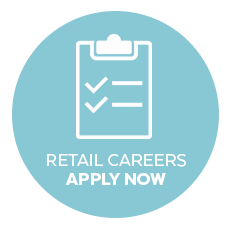 We also recruit hundreds of brand new retail employees each year to support the stores during the busy season. Fresh ideas and different points of views are very important and welcome.